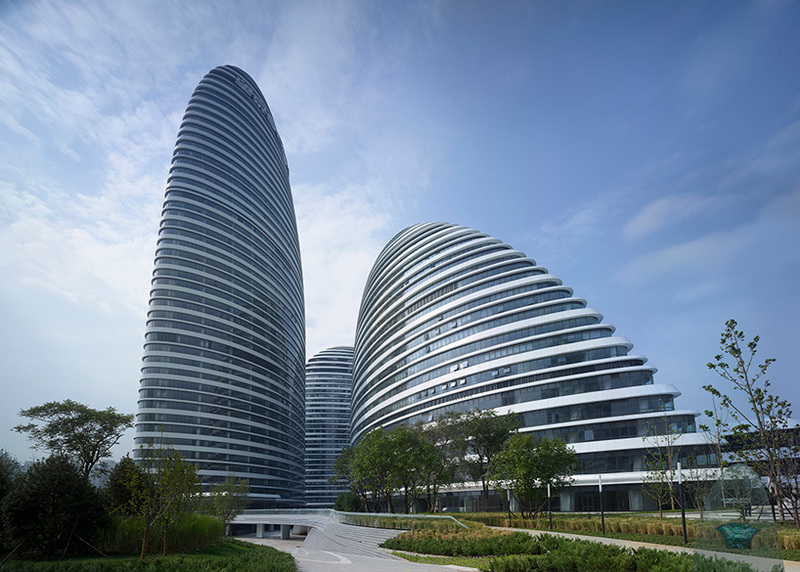 a chinese court has ordered an independent media company to pay nearly $30,000 to a real estate developer after printing an article that criticized the feng shui of zaha hadid‘s wangjing SOHO complex in northeast beijing. 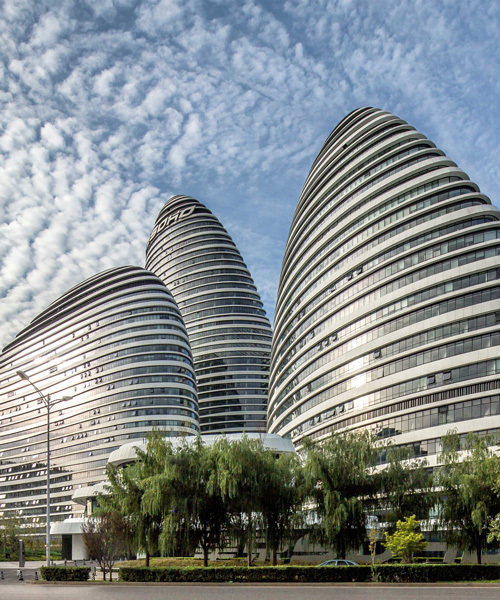 written by a feng shui expert, the article in question described the trio of towers as having a ‘heart-piercing’ and ‘noxious’ energy. 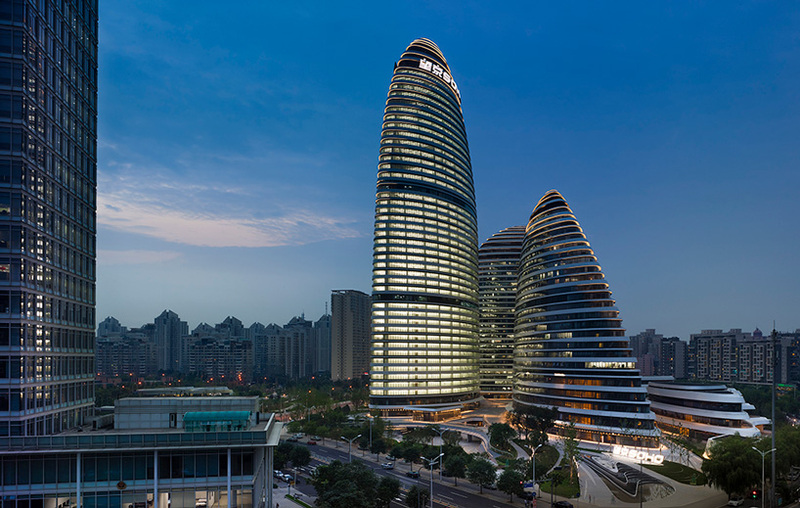 using a mix of satellite imagery and cartoon animations, the blog post on zhuhai shengun offered a detailed critique of wangjing SOHO, a vast mixed-use development in a high-tech area of the city that was completed in 2014. the blog likened the design to ‘pig kidneys,’ an insult in chinese, and described the complex as a ‘waterloo’ for companies, referring to the famous 19th century battle and the downfall of french emperor napoleon bonaparte. the chaoyang district people’s court in beijing ruled on wednesday that the media company, zhuhai shengun internet technology, had damaged the reputation of the building’s developers. on the chinese internet, many people criticized SOHO china for bringing the case against zhuhai shengun. the decision by the beijing court reflects a broader effort by president xi jinping to stop the spread of misinformation and ‘superstitious’ viewpoints online. ‘we cannot accept the use of feudal superstition to slander this building,’ pan shiyi, the chairman of SOHO china, wrote on thursday on weibo, a popular social media site. zhuhai shengun, the company accused of slander, said in court filings that the blog post was meant to spread information about traditional culture, not to harm SOHO china. the case highlights the importance of feng shui in chinese architecture. published on the wechat social network in november, the article was widely shared online and garnered more than 100,000 views before being take down. translating in chinese as ‘wind water,’ it refers to an ancient pseudoscientific practice which considers invisible forces to harmonize individuals in their surroundings.